"Securing a place here at Plymouth University shows that all the hard work, careful planning and balancing over the two years paid off." Role model: Admiring her dedication and determination, Rebecca Adlington is Sophie’s role model. Seeing Rebecca winning gold at the Olympics has inspired Sophie’s love for swimming and ambition to swim at a high level. After 15 years of swimming, Sophie Minnican narrowed down her university choices after exploring the pool facilities and coaching expertise, choosing Plymouth the home of the world-class Life Centre and Plymouth Leander Swimming Club with award-winning coach Jon Rudd. "Plymouth University was recommended to me by alumni who had enjoyed the mix of academic and sporting opportunities". "Securing a place here on the Business Management course at Plymouth University shows that all the hard work, careful planning and balancing over the two years paid off". With her deeply rooted determination and drive, it’s no surprise that Sophie successfully balances her 15 hours a week in the pool alongside university lectures, deadlines and exams. 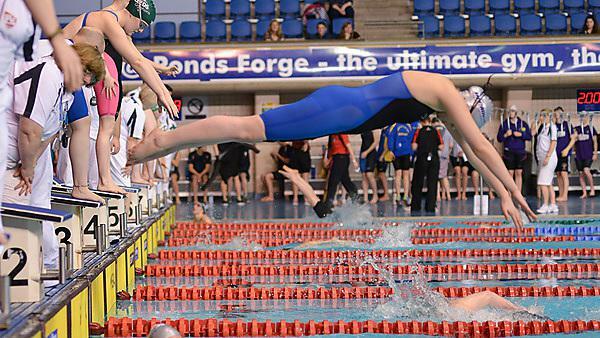 Taking the opportunity to represent Plymouth University with the UPSU Swimming Club in her spare time, Sophie constantly impresses her coach who expects great things from the 2015 BUCS and Varsity competitions. Find out how our scholars balance training with academic studies and why they chose Plymouth to develop both their sporting and academic endeavours. Our Sporting Excellence scholarships support and enable our students to compete at a national and international level.